Green Jade orgone oval is 35-45mm in size and weighs 10-12gm. It is used for healing treatment. 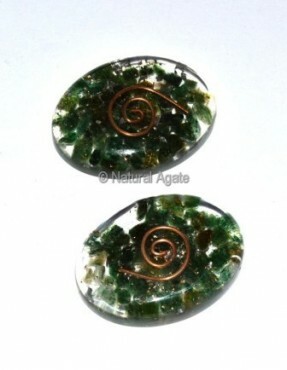 You can buy this cabochon from Natural Agate.